At the end of June we advised UKWPMMP members of an issue in China whereby AQSIQ inspectors were intercepting consignments from Europe because articles of wood packaging material were being found to have country ISO codes within ISPM15 marks that did not relate to the country of re-export. The example given involved a German 'DE' marked pallet which had been air-freighted to China from Austria (AT) and therefore it was deemed to be non-complaint. We have recently been made aware via a major international freight forwarding company that AQSIQ inspectors in China are intercepting consignments from Europe because articles of wood packaging material are being found to have country ISO codes within the ISPM. 15 mark that do not relate to the country of re-export. The example given involved a German 'DE' marked pallet which had been air-freighted to China from Austria (AT) and therefore it was deemed to be non-complaint. Through its contacts with the British Embassy in Beijing the Forestry Commission's Plant Health Service advised AQSIQ representatives in China that as para 4.3.1 of ISPM 15 makes it clear that if an article of wood packaging material is simply being 're-used' and shipped from one country to another and then another - no further official intervention is required. It is only in instances where the WPM is being repaired or remanufactured that official intervention in the form of re-treatment or remarking is necessary. 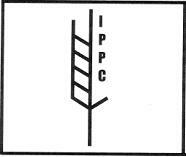 Given the difference of opinion on the 're-use' definition for wood packaging material within ISPM15, which is affecting exporters in a number of EU member States, the UK's National Plant Protection Organisation (NPPO) is liaising with the European Commission with a view to raising the matter as a challenge through Sanitary and Phytosanitary (SPS) or bilateral processes. The Forestry Commission's Plant Health Service will advise UKWPMMP members, via TIMCON, of the outcome of any EC or bilateral challenge to China as soon as the results are known. Notice 11 (see Clarification Note) and Notice 32. China continues to encourage exporters to use the 'Declaration of use of non wood packaging material'. Colombia - has implemented ISPM15 via Resolution No. 01074. Cuba - will implement ISPM15 on 1st October 2008. To view notification. Controls apply to the export from Portugal of conifer wood products, including logs, sawn wood, chips, bark and wood packaging material such as boxes, crates pallets and the like which originated there. These are set out in Commission Decision 2006/133/EC and its various amendments (link http://eur-lex.europa.eu/LexUriServ/LexUriServ.do?uri=OJ:L:2006:052:0034:0038:EN:PDF ). Wood Packaging Material (WPM) manufactured in Portugal from conifer wood has had to meet the requirements of ISPM 15, the international phytosanitary standard covering WPM which demands that it be treated (or fumigated with Methyl bromide) and stamped with the ISPM 15 mark which shows the country of production, a unique producer code and the code for the treatment used i.e. 'HT' or 'MB'. India - implemented ISPM15 on 1st November 2004 and has published details of its landing requirements. Material with a plant origin used for packaging must either be heat treated or fumigated. Click here to see details as published by Ministry of Agriculture in India. Click here to see subsequent amendment. Click here for Ministry of Agriculture, Plant Quarantine Organisation of India. Jordan - has announced that it implemented ISPM15 on 17 November 2005. To view the WTO notification. Malaysia - will implement ISPM15 on 1 January 2010. To view details. Following consultation, New Zealand has amended its import requirements for wood packaging material from 1 May 2006. These are set out in their revised Import Health Standard. All WPM produced under the UK's Wood Packaging Material is bark-free and that treated by fumigation is treated to the 24 hour treatment specification recently adopted by the Commission for Phytosanitary Measures and thus meets New Zealand's requirements. Nicaragua - implemented ISPM15 (in Spanish) on 6 September 2007. Peru - has announced that it will implement ISPM15 with effect from 1 September 2005. To view WTO notification ( in English). To view the text of the regulation (in Spanish). Phillipines - announced in June that they had implemented ISPM15 but a further announcement (20 July 2004) notifies that they will now partially implement ISPM15 on 1 January 2005 (treated but without the need for marking) with full implementation on 1 June 2005. After that date they will require all wood packaging material entering their territory should be treated and marked in accordance with ISPM15. Further details and information may be obtained through (epad.polreser@eudoramail.com). Russia - at a recent meeting (November 2009) the Russian authorities have advised us that the new rules that went into effect on July 15, 2009 have been withdrawn and that we are attempting to get the situation clarified. Our advice to exporters of all goods to Russia is that to avoid any complications they ensure that all wood packaging material used is treated and marked in accordance with ISPM No. 15. South Africa - implemented ISPM15 on 1 January 2005. Sri Lanka - has announced that it will implement ISPM15 on 8 March 2010. To view WTO notification. To view the text of the draft regulations. Taiwan(includes Taipei), Penghu, Kinmen and Matsu - an addendum notification (dated 30 May 2008) has confirmed that these separate Customs territories will now implement ISPM15 on 1 January 2009. The notification includes a link to the draft 'Quarantine requirements for the importation of wood packaging material to Taiwan'. Turkey - has announced via the publication of Official Gazette: 30.12.2004-25686 that is has deferred its implementation of ISPM 15 until 1 January 2006 To view the amendment on Turkey's Ministry of Agriculture and Rural Affairs website by selecting the 'Regulations on Marking Wood Packaging Material for Phytosanitary Measures' option and by scrolling down to the foot of the page.